“We get ready and get in their vans or tractors as soon as they call for us. Organized or disorganized labors create mob for them. 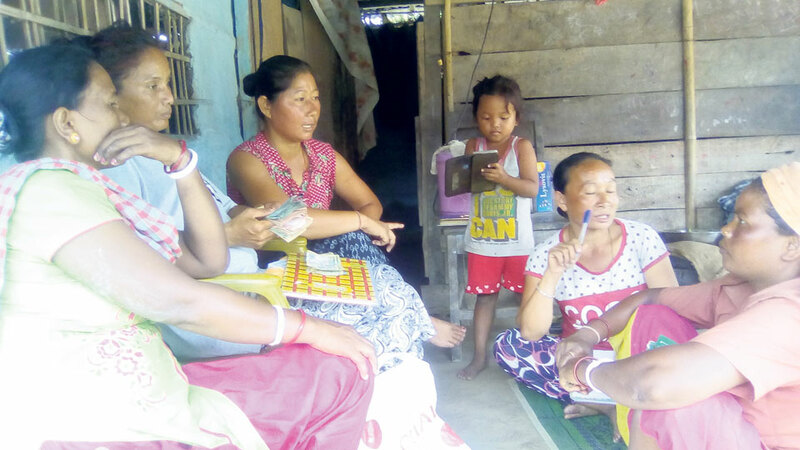 However, when we talk of our professional security and other problems related to our livelihood, political parties never hear them,” said Rai, a laborer with Kalika Tea Estate of Mechinagar. Tea production has given employment to thousands of people in eastern Nepal. Most laborers are paid on daily basis while some receive monthly salary. According to Rai, laborers are exploited by tea estates and a very few of them have own land and house. “Tea laborers have been struggling with the same problem since decades. They have raised voice several times calling for improving their living conditions, but so far it has fallen on deaf ears,” Rai stated. The biggest issue of the labors is that they are engaged for seasonal tea production. Off season, they have no work. Even otherwise, tea factories do not guarantee their job security. “They kick us out of work anytime. Sometimes we are not even paid our dues,” said Rai. Tea garden laborers have not protested only for other parties and organizations in time of need. They have taken to street for themselves as well, at times. But, since they lack capacity to influence government or any other concerned bodies" decisions, their demands are not paid heed to, Rai asserted. “This time, whoever has come to us for our vote and for calling us to participate in their rallies, we have demanded that they guarantee our professional security in return,” she said. An estimated 70,000 laborers are associated with different tea estates in the country, according to several labor organizations. Major chunk of these are in Jhapa as this district is biggest tea producer. And as the political parties know this fact, they do not like to miss out the tea garden laborers during elections. These laborers are targeted for both their votes as well as for campaign activists, Rai added. “We are squatters. We do not have land to build house,” said Anju Darji, laborer with Tokla Tea Garden. “In my locality, over 400 labor families are deprived of electricity. We do not have access to clean drinking water either,” she added. Darji is from Suranga, Jhapa. She has been working in tea garden for several years now. However, she is not sure when would she be fired from job. “This kind of insecurity gives us the biggest tension,” Darji said. People, who are below the poverty line and who are landless and uneducated, are mostly involved in doing menial jobs. Despite being associated with labor organizations, their status has not changed, they say. “Even when we work eight hours a day, company may not pay us if we fail to pick the agreed quantity of tea leaves. They often give pay of only half day stating that we did not pick the agreed quantity of tea leaves,” noted Bidur Darji, a laborer working for Tokla Tea Garden. He added proper pay and facilities are given only to permanent laborers. “I only hope that the new local representative address this problem. Huge numbers of people like us are looking forward to this,” he said. Even in the upcoming second phase of local level election, laborers like Darji have been actively engaged in political campaigns. They are also discussing who to vote, though they have been approached by all big parties and tried to be taken into confidence. “It is only during election that political parties speak so sweet. We are trying to find out who would really look into our world and help us,” remarked Hari Bahadur Tamang, another tea garden laborer. He added that the laborers like him also have serious health issue as they work in the gardens day and night where pesticides are widely used. “We work tirelessly for the tea estates. In the long run, this takes toll on our health. But in return no facility is provided to us,” Tamang said.